The Southeast Area Farmers' Market is open Saturdays from 11 a.m. to 3 p.m. at MLK Jr. Park. SNAP patrons can double their purchase power with Double Up Food Bucks! 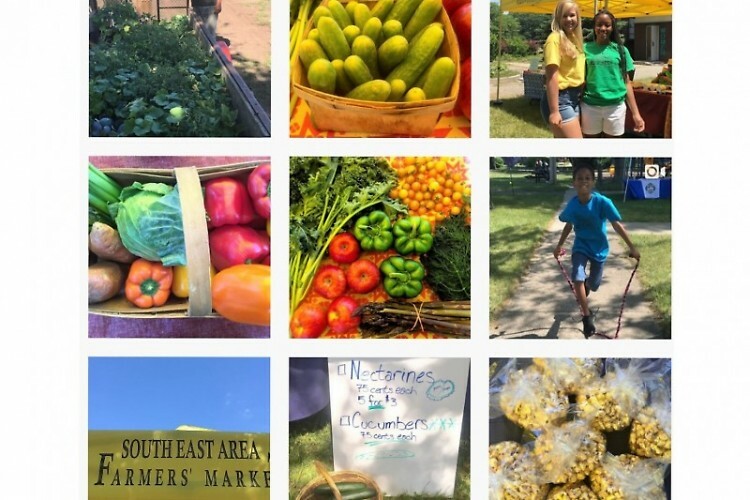 In addition to fresh, local produce and cottage kitchen goodies, the Southeast Area Farmers’ Market is hosting cooking demos the last two weeks in July. The July 22 demo will feature easy, healthy affordable recipes featuring in-season produce. The market will also host special guests from Bridge Magazine, a publication by The Center for Michigan. "Bridge Magazine is our free online publication [and] offers in-depth news covering Michigan current affairs and public policy issues around the state from a nonpartisan perspective. It is sent to subscriber’s inbox three times a week for free," says Hailey Zureich,Training and Engagement Coordinator for The Center for Michigan. "As an incentive to sign up we are raffling off five $100 Amazon gift cards, and rewarding anyone who signs up with a free branded tote bag for their shopping that day." On July 29, the market will host its annual Fried Green Tomato Festival. Patrons can sample fried green tomatoes and other green tomato delicacies. In addition, the market will hand out free Green Tomato Cookbooks, featuring everything from southern fried green tomatoes and chow-chow to pickles and green tomato cake. The market will also hand out coupons good towards the purchase of green tomatoes. The Southeast Area Farmers’ Market warmly welcomes patrons using Bridge cards (SNAP), WIC Project Fresh, Cash Value Benefits, Summer EBT, Double Up Food Bucks and debit cards. When using the Double Up Food Bucks program, patrons purchasing Michigan produce at select farmers’ markets with Bridge cards receive $1 for each $1 dollar spent, up to $20 each market visit. For information, email [email protected] or visit www.OKTjustice.org/farmers-market.